Futsal Dinamo’s objective was to win the championship but we fell in the semi-finals to rivals Split. We knew we could beat anyone if we performed even if we didn’t have the biggest budget but, on this occasion, we failed to fulfil our potential. The club will lift the title and compete in Europe sooner rather than later. I am super confident of this because of the approach they take. Their priority is to build a sustainable institution through a strategy of creating a professional structure and establishing an important position within the community. We did promotional activities, community events, charity visits and matches throughout the season to reinforce this. Many futsal clubs mistakenly pursue success on the court through dedicating as much of the club’s resources to player salaries as possible. In the short-term they get results but this success is usually temporary. A lack of a professional structure and relevance in your community is usually correlated with a reliance on one source of funding, a precarious situation. If this source is ended, the period of success will quickly cease and nothing is left behind. We have seen this in futsal time and time again and it hinders the sport’s progress. 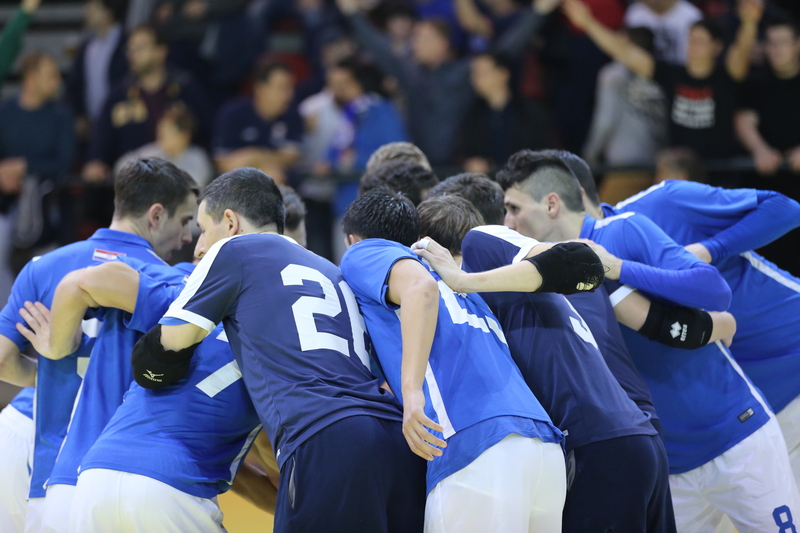 This is why fan-owned Futsal Dinamo is not only an important organisation in its local community but also within the worldwide futsal eco-system. It is setting an example of how to achieve long-term success. Until we have clubs that have long histories, a well-communicated story and are intertwined in their local environment, the game will never have a big following. The support that the Dinamo fans provide are evidence that the club is following the right path after only recently celebrating their 5th birthday. They initially followed the team as a protest against the management of the football club but it has gone far beyond that and they now closely follow the team. At every home game there is an incredible atmosphere with the fans singing and supporting the club throughout. In other clubs I have played for your motivation is to do well for your colleagues, yourself and because it is your job. In Dinamo, I experienced something unique. When you are playing for an institution which so many people have a deep passion for it gives you a motivation and meaning on another level. Their passion is contagious and becomes instilled in you. It is like playing for one of the world’s big football clubs with the following they have. I owe a lot to the fans and thank them for giving me this experience. I will never forget the joy of playing for Futsal Dinamo and it will be one of the greatest memories of my career. Croatia is one of the world’s strongest futsal environments and it was great to return to play there after a few years away. The awareness of the sport is very high. Every week our games were covered in the newspaper with player ratings, a game was shown on TV weekly and children still play the game in the streets, underpinning the large pool of talent that exists there. I recommend it to any groups that want to have an authentic and memorable futsal experience. I have put many clubs, players and coaches in touch with an organisation called FutsalWeek, run by futsal enthusiasts, who arrange trips to the country and have always had very positive feedback. 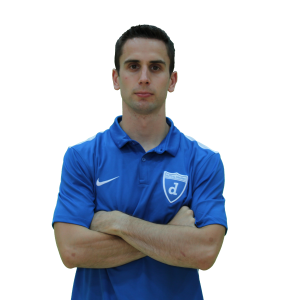 I have decided not to continue in Futsal Dinamo next season. I wish to use the next year to further my studies so that I will be ready for the next stage of my career in futsal. I don’t rule out returning to the team in the future if the opportunity arises and the circumstances are right. I will stay closely connected to the club and for the moment will just be a fan and member (anyone in the world can be a member and is sent a member’s shirt as well as a right to vote for less than 10 euros a year). It is definitely not a goodbye but a see you soon and I will be in attendance for the pre-season exhibition game at Salata in September. Thank you to everyone at the club, especially the staff behind the scenes who dedicate their time and expertise to make the club what it is, all for their passion for Futsal Dinamo.